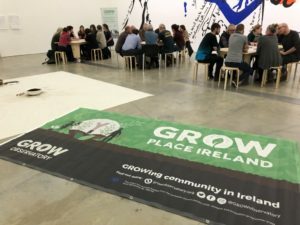 GROW Place Ireland consists of communities in two priority areas: Donegal (North West) and Carlow/ Kilkenny (South East). 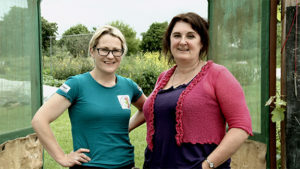 Community Gardens Ireland, is a support network promoting the work of new and existing community gardens throughout Ireland and Northern Ireland. 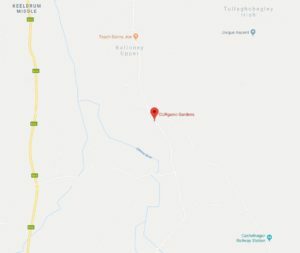 Their aim is to facilitate food growing while empowering local people, of all ages, backgrounds and abilities, to strengthen their communities. 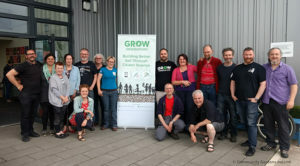 Through regular meetings, trainings, garden visits and digital communication channels, Community Gardens Ireland link and share resources, knowledge and information on community food growing initiatives. The initiative enhances networking, exchanges ideas, builds friendships, empowers communities and advocates for sustainable food production. 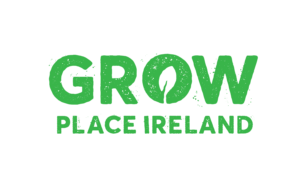 Joanne is the GROW Community Champion at for GROW Place Ireland in the North West. She runs the social enterprise OURganic Gardens, facilitating food growing classes in community gardens and at her home, where she also holds sustainability workshops throughout the year. She is the chairperson of Donegal Community Garden and Community Gardens Ireland. She is also involved in the Environmental pillar of her local PPN, the national public participation network, and with Changemakers Donegal. She is passionate about growing local food , connecting people and sustainable living. Dee Sewell, MCI Horticulture and transformative community educator, is the Community Champion for GROW Place Ireland in the South East. She is managing owner of Greenside Up a provider of horticultural and environmental education that supports and promotes social inclusion, wellness and community development. Dee is Vice Chair of Community Gardens Ireland and has co-designed, advised and worked with many national and local community, social and therapeutic gardening projects. 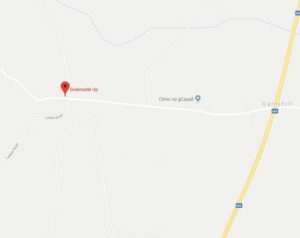 If you live in Southeast or Northwest Ireland and you are interested in contributing data from your soil, please complete this form.